You shared how you love the Annual Theme, but lacked time and energy to navigate so many curriculum pieces. We listened! 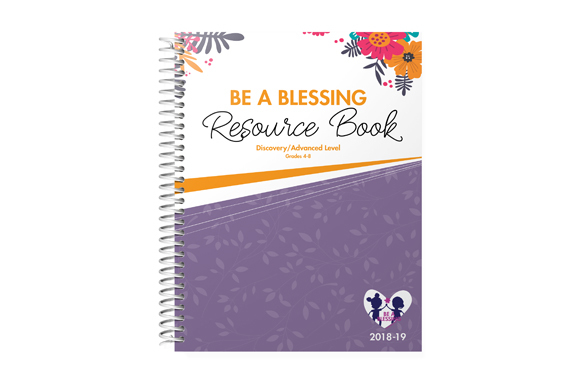 Discover the NEW streamlined and simple to follow Be a Blessing Resource Book! 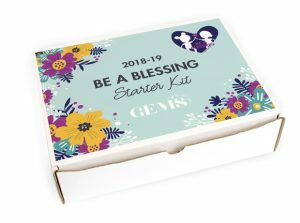 Everything formerly included in the Theme Resource Book, Connections, and Theme Devotional and Object Lessons Book is in here. 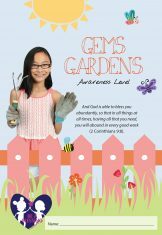 Conduct a theme night, lead theme-focused large and small group object lessons and Bible lessons (teaching aids for SHINE brightly and Sparkle Magazines), crafts, and blessings projects. Find ideas for monthly fun nights like the Family Celebration, a Ladies’ Tea, and GEMS and Gents Night. 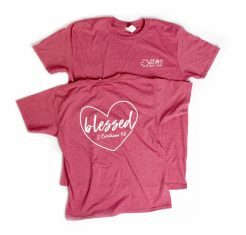 We’ve created a Be a Blessing Resource Book for grades 1-3 and one for grades 4-8. Every counselor will need a copy! The books complement one another for unified club leadership with age-specific counselor helps.